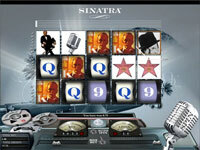 Sinatra is part of a new range of licensed and highly polished slots games by Partycasino. While Partycasino already has a range of exclusive slots games (which include some interesting licenses like Godfather, Rambo, Bullseye etc) most feel rushed and little more than a superficial skin of the same basic slots game. 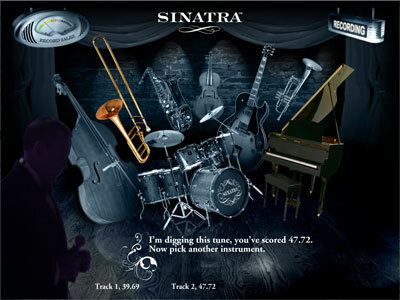 Sinatra is the first slots game by Partycasino I've played which shows off a huge amount of love and effort put into it, great music and graphics even featuring video and music of the singer. All in all, highly polished. My only gripe with the game is it doesn't feel quite as fun as other top tier slots games. This is because the game only has one special feature which is basically 'pick 4 random prize amounts' which is a bit of a let down given how hard it is to activate the special feature. When a Treble clef is spun into the middle reel (not bottom or top) it lights up a musical note above the corresponding reel (this stays lit until the feature is activated), when all five notes are lit up the special feature is activated. Activated by spinning in five Treble clefs (see above). 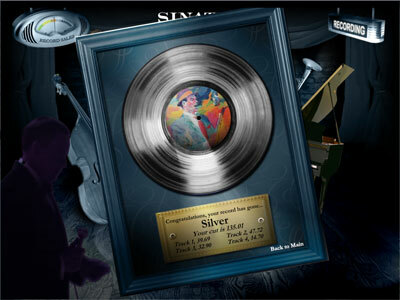 The special feature game takes the form of a recording studio where you pick four instruments which each award a mystery prize amount.